You are in the process of becoming. Every day is an opportunity to be shaped and formed by what moves your heart…drives your thoughts…captures your gaze. Is it any wonder that where you direct your eyes and your heart matter in your day-to-day? We become what we behold when we set our hearts and minds on Christ and His redemption story here in the details of our daily lives. Not just on Sunday, not just on holidays, not just when extraordinarily hard or wonderful things happen…but today. 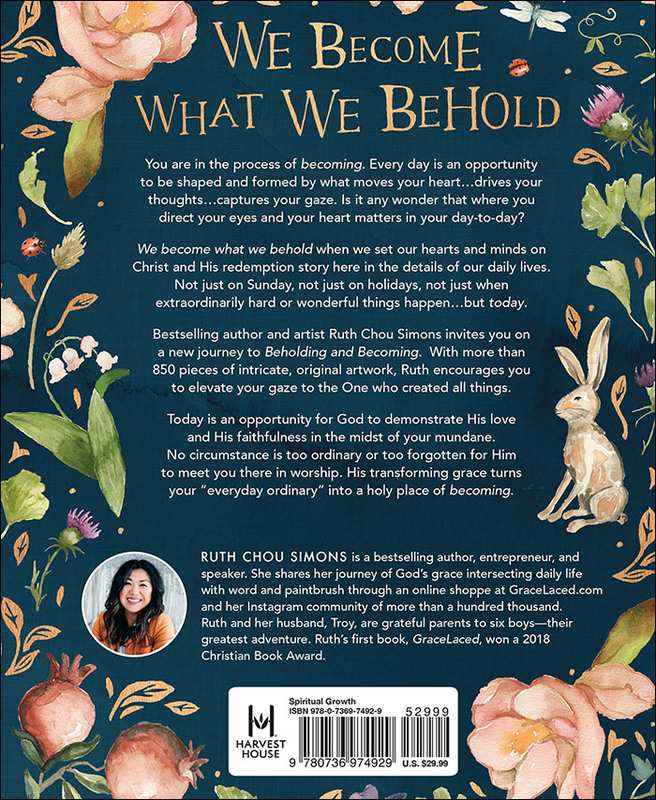 Bestselling author and artist Ruth Chou Simons invites you on a new journey to Beholding and Becoming. 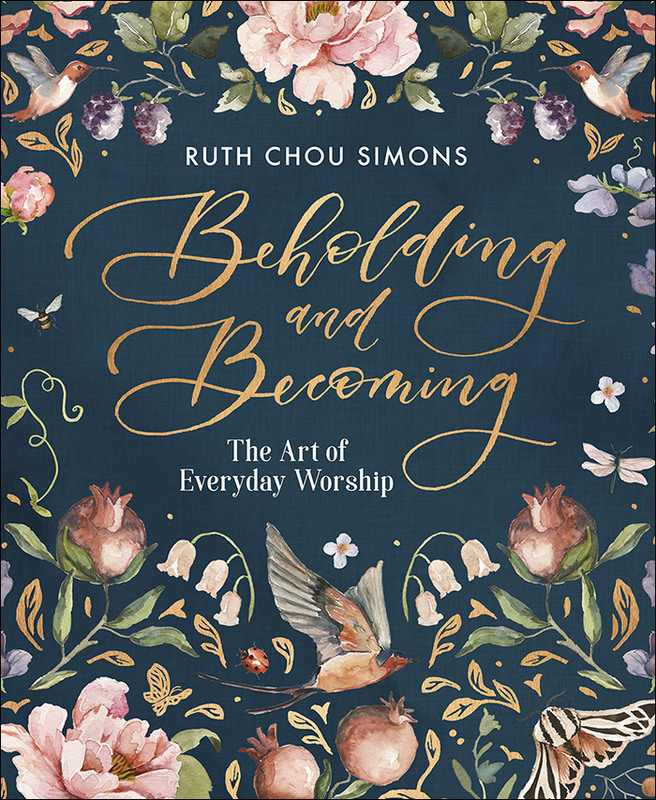 With more than 850 pieces of intricate, original artwork, Ruth encourages you to elevate your gaze to the One who created all things. Today is an opportunity for God to demonstrate His love and His faithfulness in the midst of your mundane. No circumstance is too ordinary or too forgotten for Him to meet you there in worship. His transforming grace turns your “everyday ordinary” into a holy place of becoming.